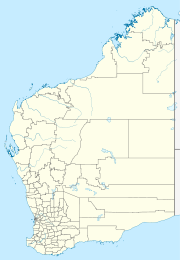 Munthamar is a small Aboriginal community, located proximate to Kununurra in the Kimberley Region of Western Australia, within the Shire of Wyndham-East Kimberley. Permanent dwellings were established in Munthamar in the early 1990s. Prior to that community members lived in self-made shacks in the vicinity, on what is now the Mud Springs reserve. The initial dwellings were self-made shelters and not connected to reticulated power and water. While living conditions were modest, the newly established camp offered space away from town life. Ruins from the initial camp site remain. Munthamar Layout Plan No.1 has been prepared in accordance with State Planning Policy 3.2 Aboriginal Settlements. Layout Plan No.1 was endorsed by the community on 16 November 2010 and the WAPC on 29 September 2010. The Layout Plan map-set and background report can be viewed at Planning Western Australia official site.